How do you say I love you in different languages? 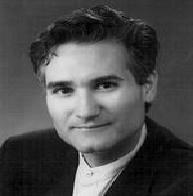 Our book for the month of love is by Gregory J.P. Godek entitled 10,000 ways to say I love you. This book unveils the different ways to express love that might not yet known for most of us. Here are some information about the book from Kokobooks.com, an online e-book retailer. Synopsis : The small book with the biggest collection of loving ideas ever gathered in one place, now in a tenth anniversary edition. This is the ultimate practical, giftable resource for couples, filled with 10,000 ideas for expressing affection. From the author of the phenomenally successful 1001 Ways to Be Romantic, “America’s Romance Coach” Gregory J.P. Godek, 10,000 Ways to Say I Love You overflows with surprise ideas, back-to-basics classics that always work, and inspired twists on creative expression. Readers can express true affection with secret love notes, perpetual bouquets, secluded picnics, outrageous gifts…and 9,996 more ways to say “I love you.” At one idea per day, this book will last couples 27.4 years! This tenth anniversary edition offers fresh tips for today’s world of texting and social networking, giving readers more reasons than ever to pick up this best-loved romantic collection. And the book review by Amy and Koko, a married couple from California, USA, which is featured on their website Milk and Coco [http://www.milkandcoco.ca]. When I was thinking about Valentine’s Day I also decided to get myself a little something. 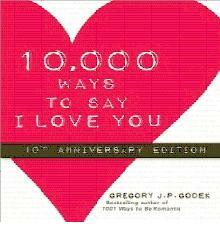 I picked up this fun book 10,000 Ways to Say I Love You (10th Anniversary Edition) by Gregory J.P Godek. It is a super easy read and I really enjoy the format. It truly is 10,000 ways as it starts at number 1 and goes on. At this point I have not finished the book. I feel like it is a book that I will keep on my bedside table and pick up from time to time. I have put lots of tabs in it to remember specific tips on love. The advice is everything from quotes, places to go, things to say (for men and women) and lots of other fun stuff. Super fun read for both guys and girl’s and gives lots of fun ways to tell your special someone that you love them!! Tags: affection, book review, Gregory J.P. Godek, I love you, quotes. Bookmark the permalink.